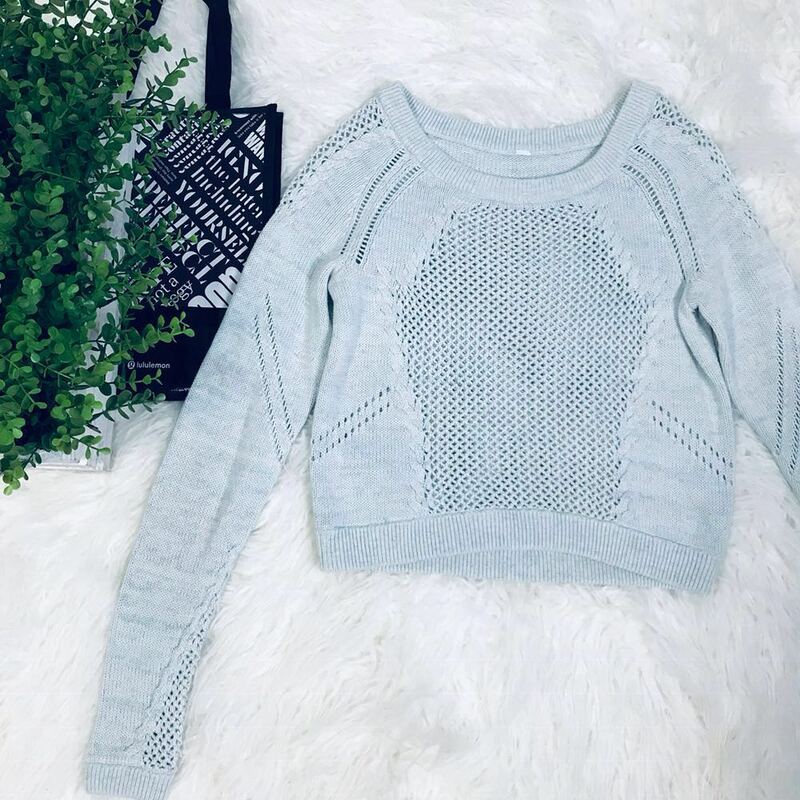 This lululemon Sweater is so pretty! It’s slightly cropped and would look perfect with some high waisted bottoms. The color is white/aquamarine/silver spoon. It’s similar to a mint color. Grab this sweater now before another lulu lover beats you to it.